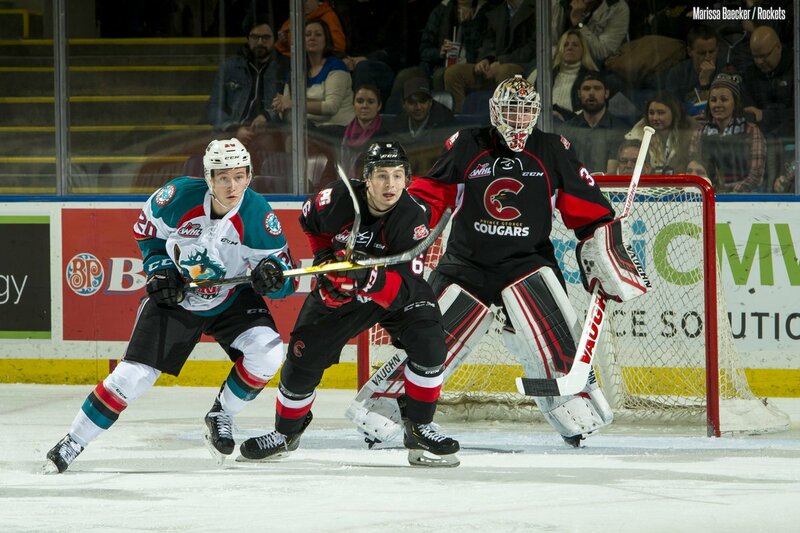 A deadlocked battle between the Prince George Cougars and the Kelowna Rockets saw the visiting goaltender at the top of his game. Taylor Gauthier made 26 saves, plus two in the shootout, leading the Cats to a much-needed 2-1 victory Friday night. The 17-year-old robbed Michael Farren of getting the first goal of the contest in the second period, reaching out with his glove on the right side, followed by a tumble-roll towards the post to avoid the rebound. The save was named the WHL’s Highlight of the Night. Moments later, Kelowna would crack the first egg with five minutes left in the middle frame. PG’s Jackson Leppard would find the tying marker halfway through the third for his eighth of the season. 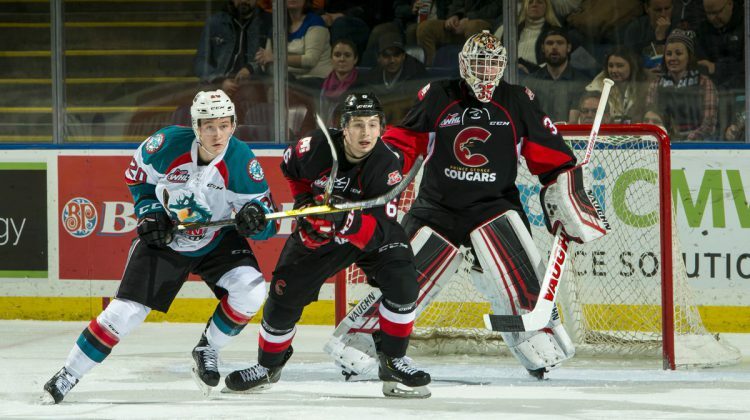 After overtime saw nothing, Vladislav Mikhalchuk and Tyson Upper potted two shootout goals while Gauthier stopped two of three to get the Cougars’ the win, improving their record to 13-21-1-2. Prince George is 2-2 in their last four games, but begin 2019 undefeated at 1-0; they now sit two points out of the second wild-card spot. The Cougars’ will wrap up their 11-game December-January road trip Tuesday and Wednesday in Tri-City and Spokane respectively. They return home January 11th and 12th in another weekend doubleheader against Kelowna at the CN Centre.